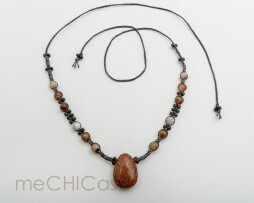 This necklace is hand knotted with black waxed cord. The pendant is very special: a snake jasper with beautiful markings. 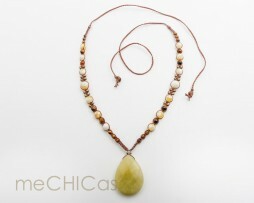 The other stones used in the necklace are agate beads. 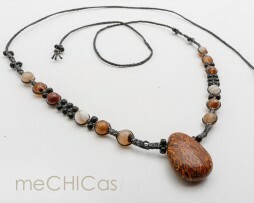 Handmade brown waxed rope necklace with tigers eye and agate. 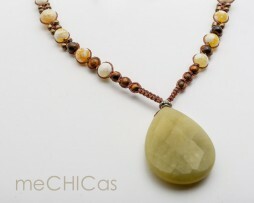 The pendant is a drop-shaped faceted lemon jade.